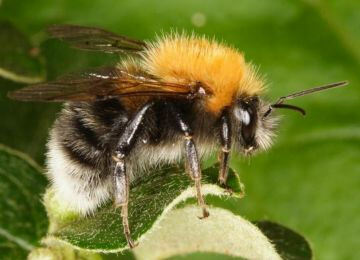 Your bee has a black shiny legs and lots of fur on it's back, it may have an orange waistcoat and white tip to it's tail. You disturbed it in your compost heap or it may be in your bird box. 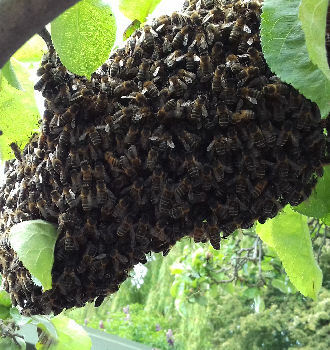 You may have a swarm of honey bees and need a beekeeper. Click the photo below.